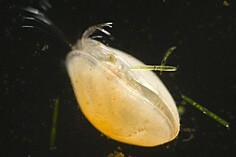 Seed shrimps use specialized appendages to filter algae, bacteria and small particles of detritus. Seed shrimps are common and abundant in large variety of still water habitats. They may occur in the water column as a part of zooplankton, or live on the upper layer of sediments at the bottom (as members of the benthos community). 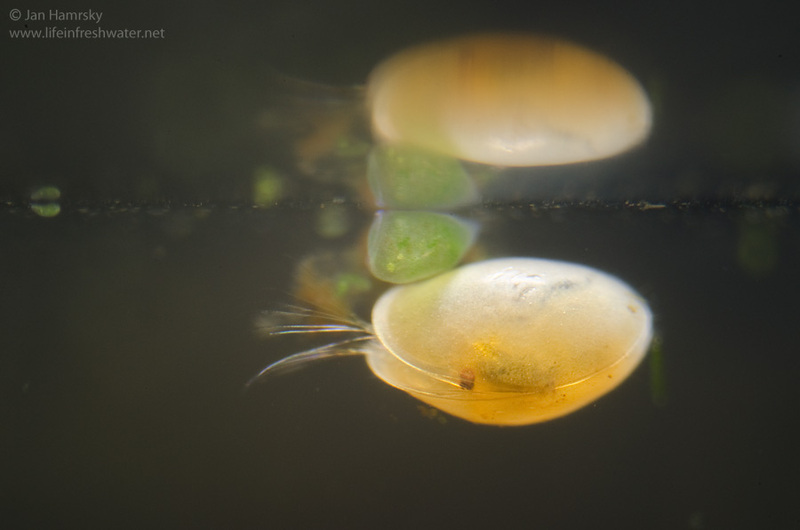 Ostracods propel themselves through the water by using antennae and movement of numerous appendages, which are located in the gap between two valves. Body length of adult seed shrimps ranges from 1 mm to 3 mm. 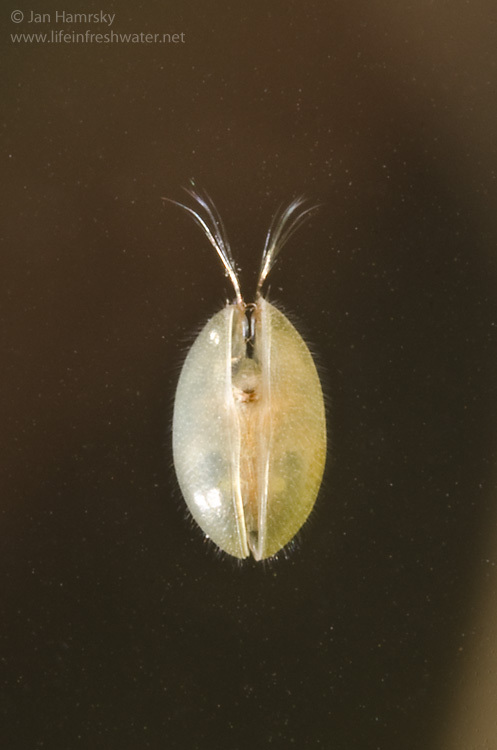 The life cycle of ostracods is dominated by sexual reproduction, occasionally supplemented by asexual reproduction, where the viable eggs are produced by a female without fertilization by a male. Hatched young already have a hard shell and undergo several molts to reach an adult capable of reproduction. 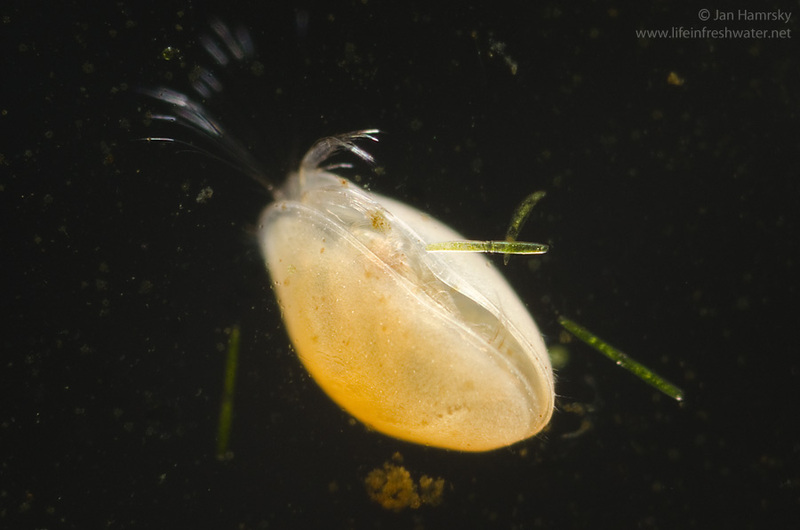 Ostracods have flattened body protected by bivalve-like carapace, which gives them seed-like appearance. The body consists of thorax and large head, bearing most of the appendages and simple eye (or pair of compound eyes). 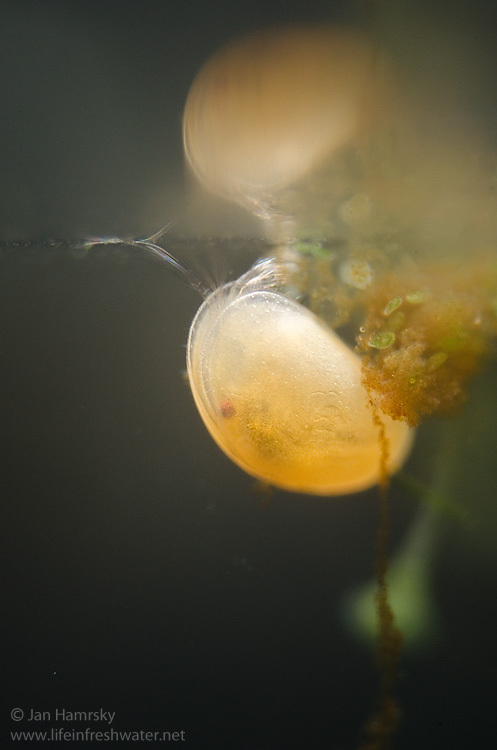 When disturbed, ostracods conceal the antennae, seal the valves and sink to the bottom.